Today we have a great guest post from the lovely Lucy Hunn on cloth nappies. I'll let Lucy introduce herself properly: "I'm Lucy Hunn, mum of 2 daughters aged 3 and 1, pharmacist, Nutritional Therapist, breast feeding peer supporter and owner of www.hunnybums.com. I am an independent reusable nappy advisor and try to give people really clear, honest information before they delve into the world of cloth nappies - it can be a little confusing so we have video guides, pdf guides, a personal shopper option as well as lots of lovely nappies to choose from. I feel passionate about convincing people that real nappies aren't hard work but are in fact a great way to save money and save waste, as well as looking pretty damn fabulous! So, me in a nutshell - I love nappies, nosh and wine, not especially in that order, and am enjoying the adventure that is parenthood (most of the time anyway....hence the love of wine....)"
I love cloth nappies. There, I've said it. 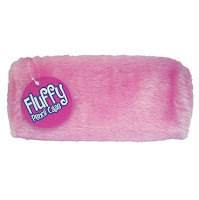 I'm a fluff addict and I'm proud! When I was expecting my first baby, I decided to start researching reusable nappies and what I found out persuaded us to give it a go. Has it been hard work? Not really. Have we saved money? Yes, lots. Do we still use the occasional disposable? Of course - I am certainly no hessian wearing, eco-warrior, earth mother! Am I now totally addicted to cloth nappies? Yes, so much so that I set up hunnybums.com offering impartial advice & selling them. So why do I love them so much? 1. Stating the obvious, the WASTE! Eight million disposables a day go to landfill in the UK alone - unsustainable, unhygienic and downright unpleasant. 2. ENERGY - Studies have shown that even when you factor in manufacture and washing, reusables save energy overall (especially washing at 30 degrees with sanitised). Up to 3.5 times less energy than despicables disposables. 3. WATER - Even factoring in the washing, reusables create 2.3 times less waste water than disposables. 4. CHEMICALS - the 'stay-dry' gel in the core of disposables often leaves a residue on your baby's skin in the form of weird crystals - what is that all about? I don't know about you, but I'd rather not have that against my baby's gorgeous, delicate skin. 5. The PLASTIC - regular disposables are made from over 95% extruded plastic, keeping your baby's bottom very warm. This is not great for boy babies and there is some suggestion it may lead to fertility problems in later life. 6. STROKE-ABILITY - reusables are just so much cuter! You can't beat that fluffy bum look and with so many colours and patterns to choose from, you'll have the best dressed bum in town. 7. Control what FABRIC goes against baby's skin - organic cotton and bamboo are fantastic fabrics both for the environment and for delicate skin - very few chemicals and pesticides are used during their cultivation. 8. Reusables can be REUSED over and over again - even on 2nd, 3rd & 4th children. Ok, by child 4 they are getting tatty - the nappies not the child - but they still work and continue to save you a small fortune. 9. Value for MONEY. With so many things to buy for a new baby, reusables are a great way to save money - you can save up to £1000. Even more if you use for more than one child - that's a lot of cute baby clothes! 10. And finally, one of the best reasons of all. They just work BETTER! Especially when dealing with new-baby-poo. None of the up-the-back explosions that occur with disposables. What a relief! So that's it in a nutshell. It really doesn't add much more work to your day - you'll be doing so much more washing with a new baby anyway. And you'll get a feel good glow every time you change your baby's nappy along with the envious glances! I love a good piece of cake (or a whole one) and who doesn't. Cakes have always been used to celebrate a vast number of occasions from traditional Birthdays and Christmas to Thank You's and Halloween. I think myself very lucky then when the good people of Baker Days got in touch to ask if I would like to review one of their cakes. Happy days! Baker Days are an online cake shop who provide quality personalised cakes for any occasion. They have cakes for anniversaries, get well, engagement, graduations etc. There's so much choice and you can even upload your own photo and have that on your cake. I'll let Baker Days explain more about themselves: "It’s taken nearly a year to get this baby flying, and finally we are in the air, so to speak. Every business starts with a premise or a vision, ours was two fold. Firstly, to show the world you didn’t need to spend a fortune to have a totally unique party cake. Secondly, wouldn’t it be great to have a cake small enough for 1 or 2 people but with all the pizzazz of a larger party cake one that you could even post through a letterbox." I can hear little bells of joy ringing in your head at the words 'letterbox' but it's completely true. Baker Days can do normal sized cakes or very cute letterbox cakes. I received one of their fab letterbox cakes to test and it was with much anticipation I waited for it to come through my letterbox! When the cake arrived it was neatly packed in a sturdy small A5 sized box and upon opening I was delighted to see that not only did you get a cake but you also received 3 balloons, 1 tooter and 2 candles for your celebration. What a nice touch. You also received a little card which said "Enjoy your cake!". I thought this was fantastic and made the cake even more special and I hadn't even looked at it yet. The cake I chose was from the Keep Calm & Carry On variety. Mines said: "Keep Calm Because I Really Love You", I know I know very soppy but it looked fab and I thought I could give it to the other half who's always a bit stressed! The cake was kept in a little tin that has "Just for You" embossed on the lid and when you open it you're greeted by your cute little cake. There's also a little pull tab which instructs you on how to remove your cake from the tin without damaging it. Really handy and it work perfectly. I got my cake out in one piece and showed it to the other half who thought it was great. The cake was really moist and very tasty, couldn't fault it on either at all. I received the cake on Thursday and ate it on Saturday so it can definitely last a few days in the tin quite happily. The design was brilliant, a union jack to stay in with the Keep Calm & Carry On theme. Now down to pricing. You can have your very own letterbox cake for £14.99 which serves 4-5 portions and is 12cm dia and 2.5cm thick. Or you can have a Med Party Cake for £26.99 which serves 8-16 portions and is 16cm dia and 3cm thick. These prices are for a plain madeira cake but for a few extra pennies you could have; Carrot Cake (£1.20 extra), Fruit Cake (£1.80 extra), Gluten and Wheat Free Cake (£1.80 extra) and Double Chocolate Chip Cake (£2.00 extra). So as you can see there's plenty of choice. Delivery is also free in the UK which is great unless you need the cake urgently and request special delivery but that's understandable. Overall a brilliant tasty cake that's perfect in size and won't break the bank. It's very cute and makes a perfect gift for any cake lover or for that person who has everything - we all know atleast one! Pricing is a bit on the expensive side although perfectly acceptable and for such a great personalised cake it really is worth it. Baker Days also offer 20% off your next order if you share a photo of yourself enjoying your cake with them on twitter or facebook, brillaint! Please visit www.bakerdays.com for for products and information. You can also see what they get up to on Facebook and Twitter so why not pop over and say hello! Remember to tell them The Breastest News sent you. We all love a bit of choccie but a bit of chocolate with a twist is even better! That's where the lovely Choka Blok people come in. They generously sent the other half and I a selection of their tasty treats to try out and boy are they yummy! As the name suggests Choka Blok special in chocolate goodies packed full of sweet treats and extra delicious tasty bits. They also do ice cream but have just released their new range of chocolate bloks which I've been sent to test. There's the Cookie Crumb Mon-Star, Gold Digger Dynamite, The Chocolate Extremist and The Rocky Road of Love. All aptly named helping to hint at the delightful scrummy tastes in store. Choka Blok pride themselves on great quality ingredients and making their chocolate the best, I'll let them explain more: "We always start with great quality ingredients and then get to work creating irresistibly mouth-watering goodies. Using lashings of chocolate, gooey bits, crunchy biscuit, caramel, honeycomb and more, all our products are chok-full of sweet treats in every gorgeous mouthful." So what did I think of the chocolate? Well it's delicious and totally not what I was expecting. I thought it would be too sickly with all the extra bits but it just adds to the flavour making it even better. The Rocky Road of Love bar is fab. It's a milk chocolate bar crammed with dark chocolate hearts, crunchy shortcake biscuit balls and mini marshmallows, perfect to keep your chocolate love affair right on track. It melts in your mouth and the marshmallows give you an extra texture you just wouldn't expect from chocolate but it works. The Gold Digger Dynamite is just as tasty, it's made from milk and white chocolate swirled together before being stacked with milk chocolate caramel cups and chunks of sweet honeycomb. I think this one has to be my favourite, as for the other half he loves them all! If having a whole blok of chocolate isn't enough you can also get your hands on the Choka Blok gift box which contains cute little squares of each flavour of the big bloks. Perfect to treat that special someone in your life or when you need a little pick me up for yourself. Choka Blok chocolate bloks and gift boxes are now available at Tesco. RRP £1.59 for the bloks and £3.99 for the gift box. These prices are reasonable and won't break the bank so give them a try, you might just be surprised at how pleasant they are! Overall this chocolate is seriously good, I do love a bit of chocolate but I always find it too sickly to eat more than a few squares but not with this stuff. It's delicious and the other half and I managed to eat 3 bars in one sitting! Please visit www.chokablok.com for more products and information. I know I'll probably be shot down in flames for talking about Christmas already but we all should really prepare way in advanced for this festive holiday. With household incomes being cut, people being made redundant and a baby boom spreading like wild fire, more families are feeling the financial pressure and Christmas can be one of those difficult times when money is squeezed to the maximum. I feel the pressure a bit at times as Logan's birthday is in December a few weeks before Christmas. It can be hard trying to balance out presents for both birthday and Christmas and quite expensive as you can imagine with 2 big events happening at once! This is why I've been purchasing presents way in advanced from as far back as January (I know you'll think I'm nuts) but it has to be done if I want to give Logan nice things and save some pennies at the same time. 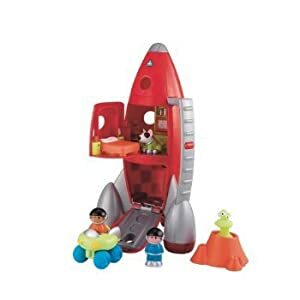 So I'd just like to share some of the great bargains I've managed to get my hands on this year for Logan's birthday and Christmas, and I hope it gives you some inspiration to do a bit of bargain hunting yourself. I'd love to hear of any good bargains you've managed to get your paws on too! This toy is really big and looks great in the box so hopefully it's even better when it’s out but it normally has a retail price of around £30-35 from Early Learning Centre. I managed to bag this baby for a mere £7.50 from Argos in the sale! One of my best bargains to date. 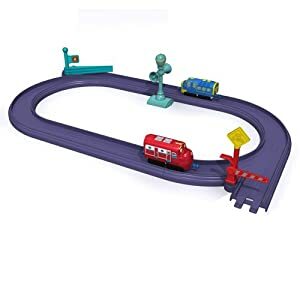 My son is obsessed with most things on wheels which include trains so when I spotted these Chuggington train sets in Home Bargains I couldn't resist. 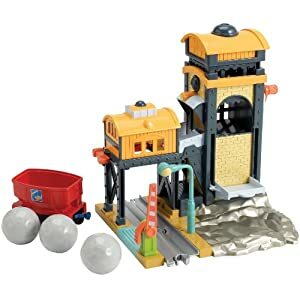 I managed to purchase the Interactive Mountain Quarry set, the Interactive Chug Wash and the Starter Set all for £5.99 each when they normally range from £15.99 to £24.99. Another great bargain and basically I saved myself £45! Disney Cars is another obsession my son has and it's the first film he sat down and properly watched from beginning to end. Lightning McQueen and Mater have to be his favourite but any character from the film puts a smile on his little face. 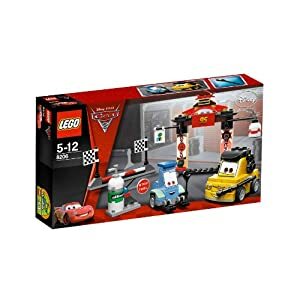 Boots have had a sale on recently and when I spotted the Lego Disney Cars Tokyo Pit Stop toy was reduced to £3.50 I jumped on it. 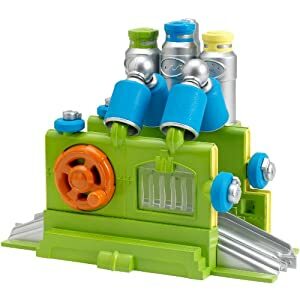 This toy normally retails for £14.99 so I was delighted with my £11.49 discount. 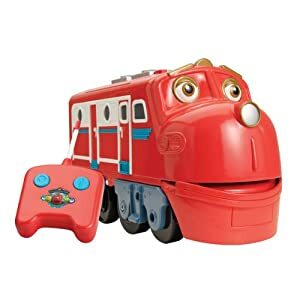 More Chuggington but this time a remote controlled toy which retails for £21.99. I saw this at a second hand market recently for £4 which I thought was fantastic but wasn't sure how much the toy had been played with and worried if it was on it’s last legs. I spied a brand new one in the Boots sale though for £9.00, saving myself a tasty £12.99 - happy days! Well I haven't done my 'Reasons to be Cheerful' for quite a long time so I thought I'd best get back into the swing of things now and link up with Mummy From The Heart this week. I'm talking wildlife here people, not something you find on your face! We have new neighbours 2 doors down who are doing a lot of work to their newly purchased house and also the garden. The house has been derelict for a year or 2 so I'm thinking all the moment must have disturbed this little Mole critter from it's hiding hole! Anyway I'm washing the dishes looking out at the mountains from my window when I see puppy pie Tulli shoot past with a Mole in here mouth. At first I wasn't sure what it was but I shot out the back door, shouted at the dogs to let it go and off the poor thing ran into the neighbours garden. It didn't look like it had been injured, Tulli was just holding it in her mouth thank goodness. I'm glad it got away to live another day. I'm so glad the schools are back as that means all the toddler classes are back on too. Logan was getting a bit bored over the holidays as all his little classes had stopped. Now that the holidays are over it means he can go back to his music class, toddler groups and playgroup. This makes a much happier Logan for mummy and daddy as he's not so grumpy and bored. The other half and I have also started to take him swimming again so lots of activities for our son at the moment. If you haven’t noticed on The Breastest News facebook page I've been commenting a lot about the Jack & Jill Markets. 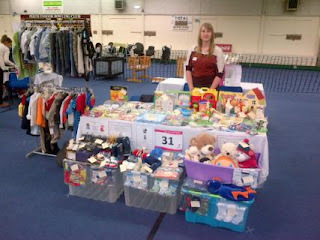 These are markets where you can purchase a stall for £23 and sell your used (but in great condition) baby and kids goods up to 9 years. 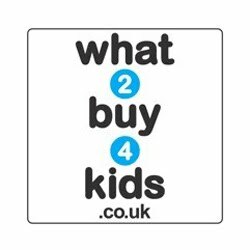 You can also go along and buy kids stuff from these markets too but since Logan has a lot of toys, clothes and stuff he doesn't use/ need anymore I've become a bit of a Jack & Jill freak and have done 3 markets already! They're great and I've already booked up to do my 4th & 5th in the coming months. We must have made atleast £400 altogether so far and it's going straight into Logan's bank account for when he's older. So the kids have finally gone back to school but did you manage to get them the cool stationery they'll need to keep writing fun and interesting!? Poundworld has everything your kids (and you) need to succeed this year without breaking the bank. I've been sent a selection of stationery goodies to share with my readers and as you'll have guessed everything is just £1. "Poundworld is the UK’s leading single price retailer. Launched in 2004 after rebranding from Everything’s £1, the brand has over 200 stores nationwide and employs more than 4,000 people. With massive savings on leading brands such as Cadbury’s, Coca Cola and Johnson’s, Poundworld offers over 5,000 products for the purse friendly price of £1. The vast range includes household essentials, textiles, toiletries and groceries, making it ideal for local shoppers looking to cut the cost of their everyday shop." 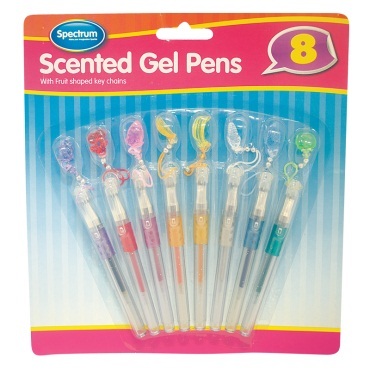 These are sure to be a hit with the girls, not only are these multi-coloured pens pleasant to smell but they also come with cute fruit-shaped chains. 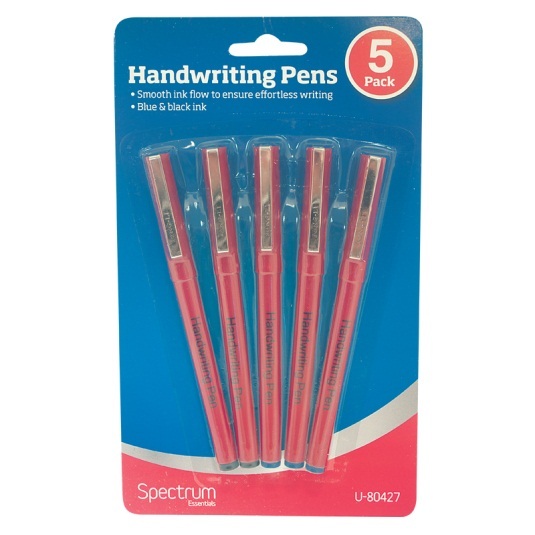 They're slightly smaller than an average pen size but they write perfectly with a rainbow of colour. 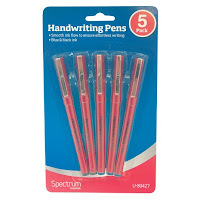 I love pens like these, they make writing so effortless but the ink does smudge if you accidently touch it just after writing. That's no bother for a hardened writer though. 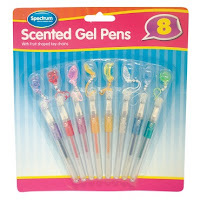 These pens comes in Black or Blue ink. 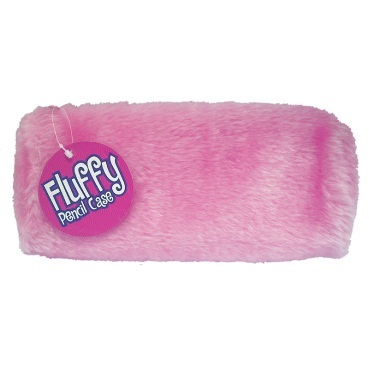 Who doesn't love a fluffy pencil case! I'm sure I had quite a few when I was at school. This one is perfect for what kids need and it should last the term. Available in assorted colours, this stylish item is ideal for keeping all your writing instruments in one place. 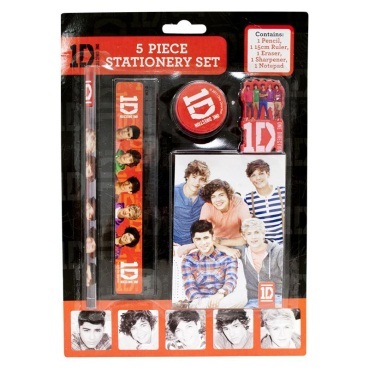 Well One Direction have a major fan base so this will definitely go down a treat and if there’s ‘One Thing’ you need this school year, it’s this pack of One Direction stationery! The set contains a pencil, sharpener, ruler, eraser and notepad. Me: "I think we should see Brave tonight, it's supposed to be great and it's had good reviews at the Film Festival." Me: "Yes the Scottish one." OH: "Well ok, if you think it's going to be good!" As you can see he didn't put up much of a fight at all, just shows the way to a mans heart is obviously through his stomach! Anyway the film was amazing, truly Scottish in every sense and full of the good Scottish humour we all love. The leading lady Merida (played by Kelly MacDonald) is a young headstrong woman who's mother wants to have her married off to one of the clan leaders sons to keep the bond between the 4 clans. Obviously Merida being headstrong and all isn't too happy about this and clashes constantly with her mother, Queen Elinor (played by Emma Thompson), which is the main point throughout the story. It reminded me a lot about the relationship I have with my mum, I'm really headstrong and constantly argue with my mum about nothing or stupid things that don't really mean anything. I know a lot of the time it's my fault, infact most of the time I know it's my fault and sometimes I feel like I'm taking over the mother role and my mum is becoming the daughter! My mums soft and always has been so it doesn't help that I'm a bit bossy and wishing she would toughen up but watching this film made me realise that I should love my mum no matter what, even if she is a bit soft. Everyone knows and loves her for this reason and that's what makes her special. So all you daughters out there, stop arguing with your mothers. It'll only end in tears or someone turning into a bear! Anyway the film was great and Billy Connolly plays King Fergus, Merida's father, and he really is brilliant at his role. I would be more than happy to go and see this film again, infact I'll be purchasing it on DVD when it gets released so I can enjoy it in the comfort of my own home. 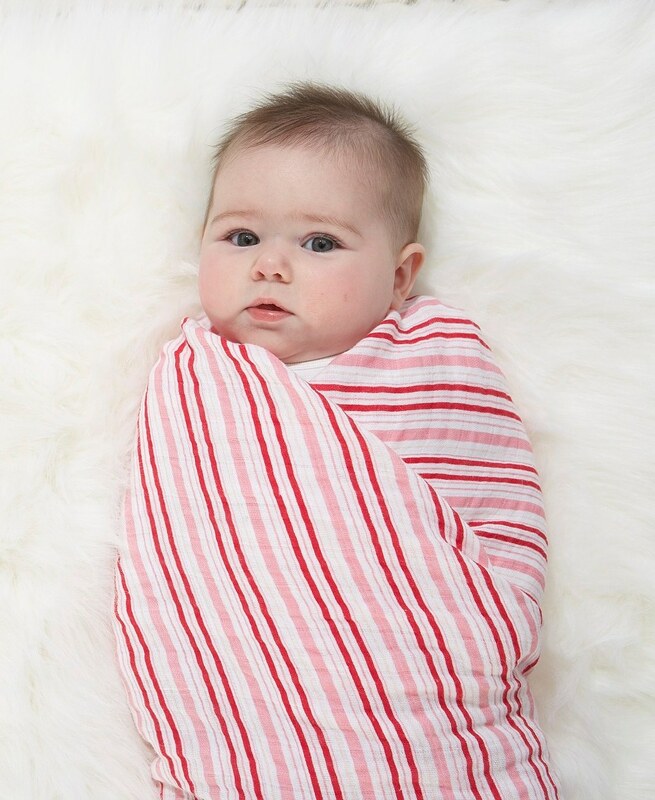 Raegan Moya-Jones is the brilliant mumpreneur behind the lovely aden + anais who manufacture and sell beautiful quality muslin swaddle blankets and other fab products such as bath towels, bibs and sleeping bags. You can see all Aden + Anais have to offer at www.adenandanais.co.uk. I call New York and Sydney home. Australia is where I was born, raised and educated; New York (specifically DUMBO, Brooklyn) is where I live now with my husband and four daughters. What's the story behind the brilliant Aden + Anais? In 2003, I was expecting my first baby while living in the United States, half a world away from my family, back home in Australia. Like all new mums to be, I was preparing for the baby’s arrival, and one of the must-have “things” that all Australian mums used on their babies were muslin wraps. I looked everywhere for them in the US and not only could I not find them, no one had any clue what I was talking about! I resorted to having my sister send me some from Australia. Upon their arrival it dawned on me that all Australian mums couldn’t have it wrong, and that if I introduced them to American mothers, I knew they would feel the same way. Before I could stop myself, I took a page from Plato’s Republic – inventing by way of necessity – and decided to take matters into my own hands. I co-founded aden + anais® and took my first pack of aden + anais® muslin wraps to market in the US in July 2006. Today, we can be found in twenty countries around the world and in many thousands of stores. Trying to establish lines of credit especially during the financial crisis was definitely a struggle. We grew so quickly and no bank would really look at us because we had not been in business for long enough to qualify. The ongoing issue of cash flow and working capital can be an issue for any small business, especially those who manufacture products. I don’t have any regrets. Where there have been hiccups in the business, we have learned from them and used that knowledge to do better and be better. Knowing what I know now, there are plenty of things I would do differently. If had to do it all over again, all of which would save me time and money. That said, the way I live my life is summed up in a quote that I read many years ago by John Burrows. “Leap and the net will appear.” I would tell anyone who has a dream, vision and passion for something to follow it. Although I would also warn them that there is a huge amount of stress and sacrifice that goes hand in hand with starting your own business. Had I known the toll it would take on me and my family in the first few years when I was building the business from scratch, I may not have been quite as enthusiastic about diving into the abyss. Of course now, that I’m on the other side running a successful business, all the sacrifice was worth it. Are there any new products in the pipeline? We have a lot in the pipeline right now and are introducing products that I’m very excited about. We just launched mum + bub, a pawpaw infused skincare line that was formulated with a leading dermatologist made specifically for babies, but is unique because it is sophisticated and luxurious for mums as well. Pawpaw is a skin care staple in Australia that I’m excited to introduce to other parts of the world. Our soothing pawpaw ointment is so versatile that you can use is as a nappy cream for baby but it also works wonders on chapped lips, chaffed skin, insect bites, minor cuts and skin irritations and more. I’m personally happy to finally have it my home for me and my girls. We’ll soon be introducing a few line extensions of existing products that I think (and hope) our customers will be very excited about. Stay tuned for more! Well where do I start!? Logan is 2 years and 8 months now and the other half and I have been contemplating potty training for quite a while but it's really hard to know if our son is really ready to take the plunge. Back in June just after Father's Day for some unknown reason Logan started to empty the contents of his nappy when we weren't looking! Maybe it's because he didn't like the feeling on his bottom? So every time he did a poo and we didn't notice he'd have it smeared up the walls!! Most of the time this only happened when he was in bed, we thought he had went quiet because he was sleeping but oh no - the little sneaky monkey was busy throwing handfuls of poo around. The worst time had to be when we walked into his room to fine him covered head to toe in crap, the other half had to give him a shower at 11pm at night to try and scrape it off! It was hell, very stressful. This happened for over a month and luckily we got wise to what he was up to and managed to catch him before he did anything but he always seemed to save a poo for last thing at night. It seems he gets distracted easily during the day, I've noticed that if we're out and about at the shops, play park, playgroup etc he won't do the toilet but when we’re in the house all day he'll have several poos. It's very frustrating but what can we do, he'll go when he needs. Sometimes I think the whole poo smearing incident arose because we got a new puppy on Father's Day and maybe the change of a new dog upset him a little? Although I don't think so as Logan loves the new puppy more than our other dog and plays with her constantly? Maybe I'm reading into things too much or not seeing the obvious! Thankfully we've moved on a bit from then and he doesn't tend to touch the contents of his nappy anymore however he does have the odd lapse. We thought all of this was signs of him wanting rid of the nappy but when we tried the have Logan use the potty 3 weeks ago he was having none of it. We took him out of nappies and went cold turkey. He would hold in his poo and pee for hours on end though and when he couldn't take it anymore he'd just do the toilet on the floor. We would ask him if he wanted to use the potty or he big toilet, we even got him his favourite Disney cars big toilet seat and stepping stool but he's just not interested. I've tried my hardest not to pressure Logan into doing anything he doesn't want and so has the other half but we're not really sure what to do. Maybe he just isn't ready? But he hates having his nappy on as well, tugging at it all the time and some days it's a fight to get on but showing Logan the potty gets a big fat "NO"! So you see our dilemma, doesn't want to have nappies on but doesn't want to use the potty either. I think the one time he did want to use the potty was when he didn't have any trousers on but still had his nappy on!? Oh it's all so confusing. I'd love to know what we're doing wrong or if there's anything that can be done to encourage him to use his potty or even the big toilet. Is anyone doing the whole potty training thing at the moment like we're trying to do? And if so do you have any tips for a pair of suffering clueless parents? MumsUnited is an online private mums shopping club where all exclusive members can enjoy sales on luxury and quality brands. Promotions and new events are added daily keeping the content fresh and engaging. The MumsUnited buyers team efficiently and carefully pick the best designer products for you and your family. They also help you pamper your loved ones with the best items on the market from the best priced deals! So how does it all work, well in order to give you the best possible shopping experience they add new sales every day at 7 am so you get plenty of time to decide which are the best products for you. All sales last 72 hours and you can also invite all your friends to shop with you! Through the website you will be able to access all current sales and have a sneak peak of all the upcoming events. Each day is dedicated to a category so keep updated with their newsletter so you will never miss out on the products you are looking for! I've had a little browse around the website myself and it's so easy to navigate but the best thing of all is that it's even easier to sign up. All you need to do is pop in your email address and create a password and you're off, simple as that! I was delighted when it took me all of 2 seconds to sign up, as I usually get bored with all the forms but this was super fast and enable me to browse even faster. 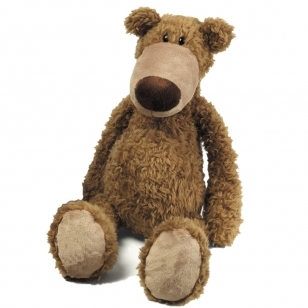 Anyway the generous people from MumsUnited have kindly agreed to give away a gorgeous Air Puppy Teddy Bear plus a £20 online voucher to one of my lucky readers! What a fabulous prize. Basically all you have to do to be in with a chance of winning is to follow MumsUnited on Facebook and leave a comment here telling me you have done so. As simple as that! If you'd like an extra chance of winning then simply follow them on Twitter as well and tweet '@mumsunitedUK I've entered The Breastest News #giveaway to #win the Air Puppy Teddy & £20 voucher: http://bit.ly/O2QByH' and leave a comment telling me you have done so. That's all you have to do, very simple. This is a UK only giveaway, closing date is 1st September 2012 at 12 noon. Winner will be chosen at random by my 2 year old son. A few months ago the lovely people from Groupon asked if I would like to give their website a shot, and why not I said! I'd never used Groupon myself but like everyone these days I'd heard of it and my family use it quite a bit. Lots of people have mixed reviews but here's my take on the whole Groupon experience. A great price is only half the battle - it’s also got to be a great product or service. Between our top-rated business partners and unbeatable prices, you should feel comfortable venturing out and trying something new. We really want you to love Groupon UK. Sneaky, shrouded conditions that sour the experience are a terrible way to accomplish that goal. We want each Groupon UK purchase to feel too good to be true, from the moment you buy to the day you use it." First of all I was presented with a voucher code for around £30 so that I could purchase an item on the Groupon website, they have many deals so there were plenty to choose from. I set about opening an account which was very easy, all I had to do was enter my details as with any other registration and away you go. It did say if you have a facebook account you can log in with that but I didn't really understand how it worked and when I tried it nothing seemed to happen so I just stuck to the normal registration process. So what deal could I be tempted by that Groupon had to offer. Well to start with I changed my city choice at the very top of the page to Edinburgh, since I'm near by. It's a simple drop down list in alphabetical order and you can choose lots of places from Aberdeen, Dundee and Glasgow to Lancashire, Liverpool and London. I counted 66 places in total so tons of choice. As well as the city deals which have specific restaurant, hotel and event offers there's also the Goods deals tab which I clicked on the glance over. This tab offers products which anyone can purchase regardless of where you live in the UK. 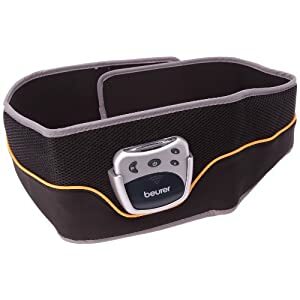 I spied a little Abdominal Toning Belt which had 52% off and at £29 was perfect for my voucher code. I'd always wanted a toning belt so took the plunge and bought one for myself. When you make a purchase from Groupon the item goes into you’re My Orders tab in the My Account section of the website. Then you have to wait until the deal has ended before Groupon issue you with a Groupon Voucher which can then be used to make your required purchase on the designated website. So in my case the website offering the toning belt deal was Chemist 4 U, so with my Groupon Voucher (which is a pdf document) I opened it up to find instructions from Chemist 4 U on how to make my purchase on their website. All fine and well and the instructions were easy to follow, I'm sure they'll be similar for other websites but what was a bit off putting was that you still have to pay postage at the end of it even though you've bought your deal so you're forking out more cash to get your item! Understandable for the company but still a bit disappointing for the consumer. I ordered the toning belt from Groupon on 15th May and luckily the deal ended on 16th May so I received the Groupon Voucher really quickly. It did take a while to receive the toning belt from Chemist 4 U though as it didn't arrive until 30th May so a little bit of a wait. As for the toning belt itself it seems to work fine but whether it's toning my tummy or not is anyone's guess but then again I've had a child so can't expect much and I haven't been using it every day so operator error on my part! I've read some of the reviews of other people on Amazon and they really rate this toning belt so I'm going to stick with it and see how it goes. All in all I'd say my experience of Groupon and it's deals wasn't too bad, it was mostly painless apart from the postage and packaging charge but that wasn't exactly Groupons fault. The deal was genuinely a good deal as the toning belt was on Amazon for over £40 at the time so can't complain there. As I said earlier a lot of my family use Groupon regularly, as well as my mum and I haven't heard any complaints from her so far so I'm giving Groupon a little thumbs up. Please visit www.groupon.co.uk for more products and information. You can also see what they get up to on Facebook and Twitter so why not pop over and say hello! Remember to tell them The Breastest News sent you. Impkids, founded by mum Liz Marsh, has launched one of the hottest Scandinavian brands, Villlervalla, into the UK market place, and we have got our hands on one of their funky showerproof jackets to give away. Villlervalla is a brilliantly designed range of Swedish clothes for babies and children aged 0-8 that is full of colour, charm and Scandinavian chic. The great quality, pass-me-on items are also made from materials that are environmentally sound and ethically sourced. As a mum herself, Liz knows first hand that kids are by nature active, inquisitive, mischievous creatures - little imps in fact! They need clothes that are easy to get on and off and can be thrown in the washing machine time and time again without losing their shape or colour. When Liz had her first child and her partner's Swedish family bought Villervalla clothes for the baby, people stopped Liz in the street to ask where she had bought the clothes. Liz searched high and low for a stockist here in the UK but came up empty. This got her thinking. She knew Villervalla would be extremely popular if it was available in the UK and so a year later and after many trips to Sweden, Liz and her husband Per launched Impkids and brought Villervalla over to the UK. You can view the Villervalla collection and buy on-line at www.impkids.co.uk. Winner will be chosen by Impkids. The lovely people from Bobux have kindly given Logan another pair of their fantastic shoes to test out and review for them. He received a pair of their i-walk Get Smart Dress shoes in black and like the last pair of shoes Bobux sent us they don't disappoint. Now we all know how important our little ones feet are and from birth to five years, little feet undergo a massive amount of change. It doesn't matter if your child's crawling, toddling or walking, they all need footwear that can support healthy natural development. Bobux is a leading New Zealand innovator in children's footwear and are committed to creating eco-friendly footwear that mimics the healthy benefits of bare feet. They draw on both science and working with globally renowned specialists and natural health researchers to create three ranges that allow unrestricted development as babies and toddlers grow. Their three ranges; Soft Soles, Step Up and i-walk are based around the philosophy that children do better when they're comfortable, happy and free to develop as nature intended. Each shoe is designed to support key stages of a child's development from crawling to walking. Soft Sole (for indoor wear): The original Bobux shoe, these are soft, breathable and flexible shoes for babies and toddlers. Made with eco-leather and non-toxic stitching and dyes. With a unique elastic ankle support, these Bobux originals works with little feet as they grip the floor, flex muscles and spread toes, assisting in crawling and making those first steps as easy as possible. Soft Soles offer superior indoor protection, comfort and warmth. Step Up (for first steps): The new step up range accommodates the shape and stability needed during the vital months when little ones move from crawling to cruising. They are designed on shoe forms that reflect the distinctive anatomy of a first walker's foot. This accommodates the child's rounder foot shape and allows unrestricted growth at this key stage of development. i-walk (for active toddlers): The enhanced i-walk range strikes the ideal balance between the benefits of barefoot freedom and outdoors protection. They are a soft, flexible rubber-sole shoe with extra grip that conforms to the natural walking motion of little feet allowing them to grow and explore without restriction, avoiding malformation and spinal issues later in life. My personal experience of the Bobux brand has been refreshing, their children's shoes are fantastic and so hard wearing especially with a toddler who thinks he's Spiderman! The shoes are very flexible too but give great support and my son has never complained when wearing them unlike some other brands of shoes. The i-walk Get Smart Dress shoes Logan received are gorgeous. Perfect for smart casual days out or party events like weddings. They go with anything really and although they have bright green laces they also come with a set of black ones which can be swapped over saving any clashing colours or gasps of shock from the relatives! The Spring/Summer collection will cater for newborns up to size 28 which is a size 10 in the UK. Logan is currently in a size 6.5 and the 24 European size from Bobux and this fits him well. The shoes we received are priced at £34.95 which is expensive but they're such great shoes and so much better for his feet than other brands, and they come in sizes 20 to 28. Overall excellent shoes, more styles have been added this summer and the new Step Up range for younger children looks great. Pricing is on the more expensive side but then again a lot of good children's footwear retails in that region and these Bobux shoes are well worth the purchase. My son loves his and that's the main thing. Please visit www.bobux.co.uk for more products and information. You can also see what Bobux get up to on Facebook and Twitter so why not pop over and say hello! Remember to tell them The Breastest News sent you.